Create a plumbing masterpiece. 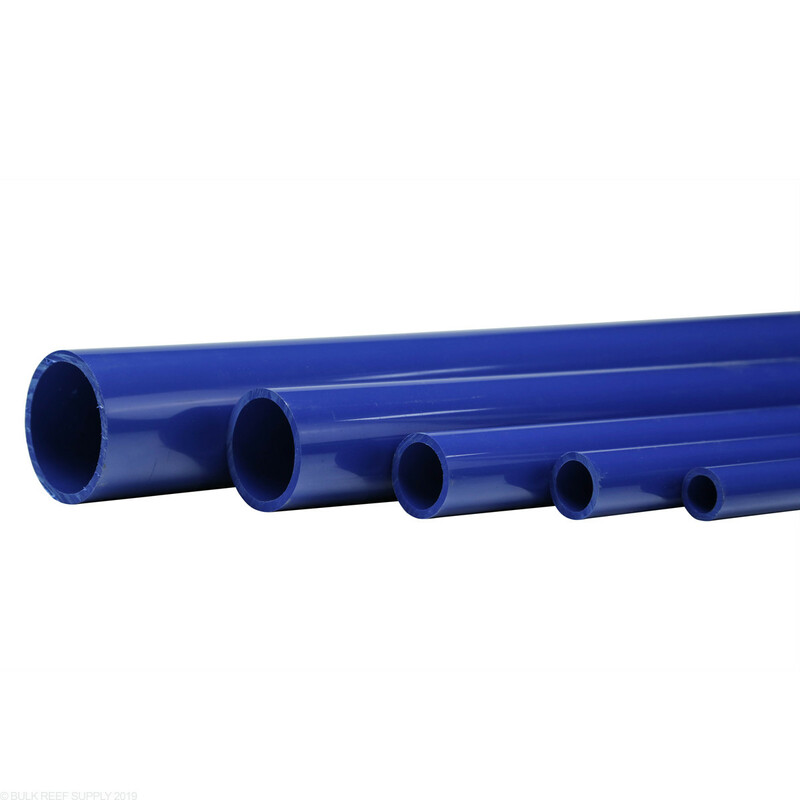 Schedule 40 PVC Pipes for your plumbing needs in Purple. If you're looking to take your build to the next level and give it a professional look. This colored pvc is the way to go. I have used it on my last two builds. Great stuff, just wish the sticks were longer. I am new to plumbing but work great for my manifold. look nice and have no problem with shipping. I would highly recommending to others. Wow, am I glad I purchased this colored PVC pipe. The blue looks great; exactly as colorful as pictured. I would have paid nearly the same at a Big-Box store locally. Paying a couple extra bucks for the colored pipe was a great decision. I love this stuff. I've ordered a decent amount of this blue colored pipe and it came in great shape. No scratching this stuff looks perfect on my tank and plumbed right into my ghost overflow. I won’t ever go back to that ugly white plumbing with labels all over it. I’ve never cared so much for my plumbing and sump area to look as good as the DT. Totally worth the price. I colored coded my drains and emergency drain. Makes working under the tank and breeze and never having to question which drain is what is key. My tanks plumbing is looking awesome I wish I could upload a photo to share. Thanks BRS. 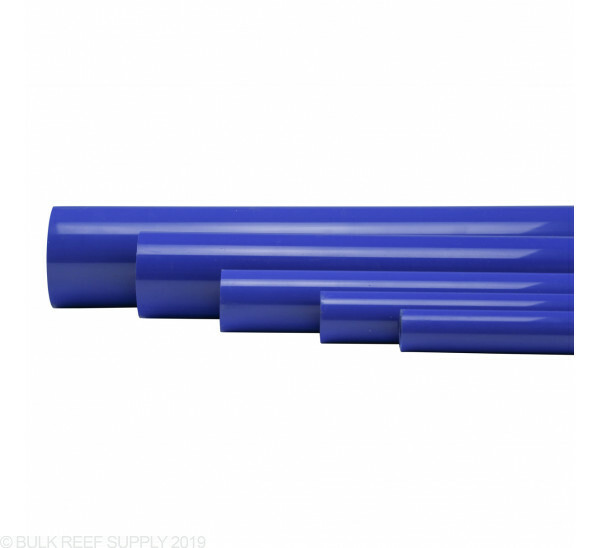 The blue PVC looks great and is compatible with Schedule 40 fittings. Came packaged well, nice deep blue color, order the 1" size for my return line. Just as easy to work with as regular white PVC. Now my plumbing is color code. Look nice, is functional, no leaks, I would recommend. Box came well packed and none of the PVC was scratched at all. Color is very nice deep Royal Blue! I am one of those people who care about my plumbing and sump as much as the DT. 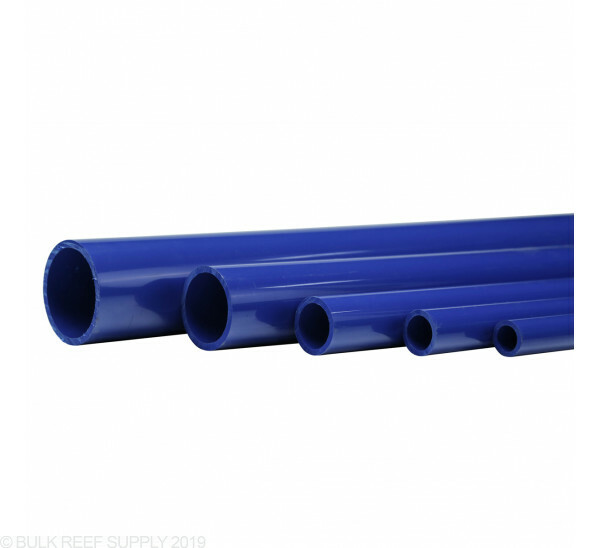 The blue pipe looks fantastic and works as well as white PVC. 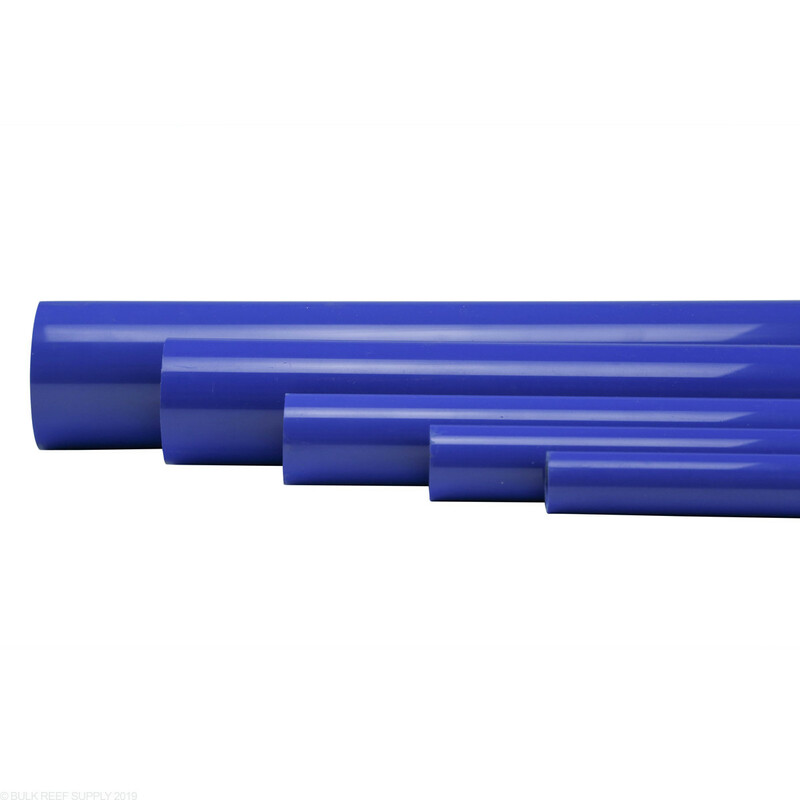 I bought the Blue for my return lines, really pretty pipe, rich color and works just like any other PVC. Welded great. Would recommended to add that little "extra" to your sump area. We only ave up to 2" diameter pipe available. Feel free to let us know if you have any further questions! Will this piping fit well with schedule 80 fittings? Sch 40 and Sch 80 pipe is completely interchangeable. You can use Sch 80 fittings with Sch 40 pipe or vise-verse. Thanks for the question and if you think of any more just let us know. It says this pipe is compatible with schedule 80 pvc, does that mean the 80 pvc fittings? All of our colored PVC pipe is compatible with Sch40 and Sch80 fittings. Just make sure the primer and solvent you are using is too! I was just wondering what the inner diameter is on the 1" and 1 1/4" sizes or are these the inner dimensions?? The nominal rating on all of our pipe is based on the internal diameter and the actual physical measurement will be very close to the rated size. The outside diameter will be larger. Have a great day! Is it possible to get this in longer lengths? I am planning to do an installation that requires the filter to be located in the basement, but 30 feet away on the other side. That would be a lot of unions to do long runs. We do not have pipe available in longer lengths unfortunately due to shipping and transport issues. Often if larger pieces are required this will need to be purchased through the hardware store or plastic company directly. Feel free to let us know if you have any further questions! Will this schedule 40 pipe work in your schedule 80 valves (gate & ball)? Good question. It certainly will!